Ready or not, here comes the busy season for Metro Phoenix real estate. We enter March with 6% fewer listings than a year ago and most homes still going off the market in less than two months. The average sold price dipped 2.1% in February, holding above $308,000, up 7.5% from a year ago, and poised to rise. 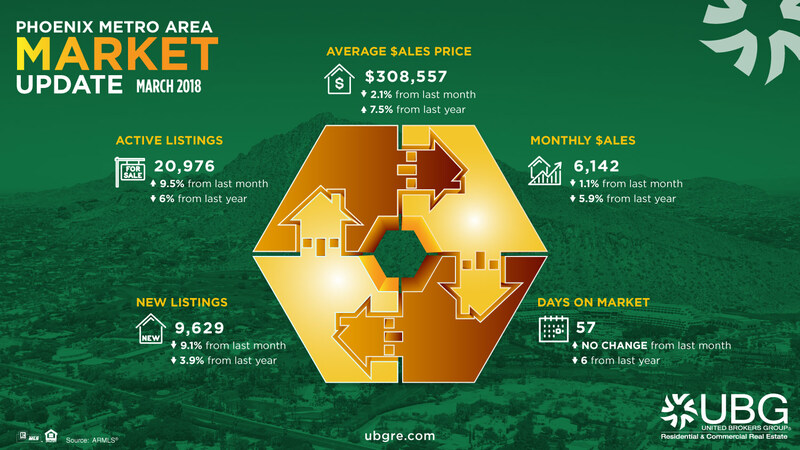 The large 9.1% decrease in the number of new listings from January to February is significant and will offset some of the inventory accumulation that occurred last month with only 6142 closings. Continued lack of new inventory will drive up prices and eventually result in fewer closings. Ultimately the number of sales depends on both actual demand and availability of affordable, quality homes. Freddie Mac’s March 1st survey shows that 30 year fixed mortgage interest rates have climbed during each of the last eight weeks. Now at 4.43%, rates are the highest they’ve been since April 2014. This will motivate some buyers, deter others, and affect affordability for many. There are many factors at play, but homeowners motivated to take advantage of the hot selling season and buyers wanting to secure low-interest rates should be hard at work with knowledgeable agents.